If you’ve made a purchase from our store, we greatly value and appreciate your feedback! 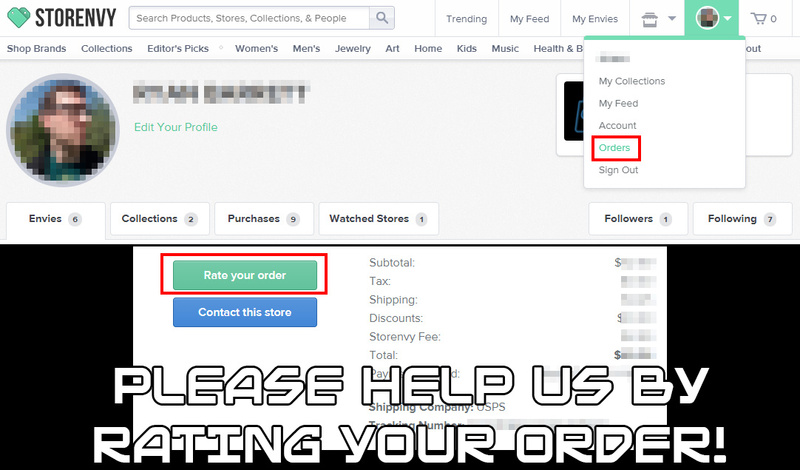 Please simply go to your Storenvy account, click your profile icon in the upper right corner, and click “Orders.” Find your order with us and click the big green “Rate your order” button. You’ll then have to fill out 3 simple feedback ratings. You can also leave a note for us if you’d like. Thanks in advance and we look forward to hearing from you!